Federal agencies have been grappling with how to handle the increasing abuse of prescription opioid drugs. Last year, the FDA began an opioid drug policy review to address the drug approval process and prescribing policies, and the CDC released guidelines in the hopes of curbing the number of prescriptions. While efforts such as these have gone a long way towards reducing dependence on opioids, a new study shows that the drugs still present a real danger – especially to children. A study conducted by the Center for Injury Research and Policy and Nationwide Children’s Hospital shows that there were over 188,000 calls made to poison control centers between January 2000 and December 2015 for children who were exposed to opioids; that’s an average of 32 calls per day, or one call every 45 minutes. "The opioid crisis which has been affecting our adult population has now trickled down to our children," said study author Dr. Marcel Casavant. "When adults bring these medications into their homes, they can become a danger to the children that live there. The researchers note that most opioid exposures (60%) were experienced by children aged 5 years and younger; teenagers were exposed approximately half as often (30%), but the severity of the exposure varied by age. 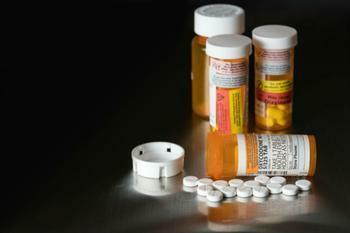 The drugs that led to the most calls to poison control included hydrocodone (29%), oxycodone (18%), and codeine (17%). For the youngest children, most instances of exposure occurred in the home and were managed by caregivers without serious medical outcomes. However, while these exposures were generally unintentional, over two-thirds of teens who were exposed to opioids did so intentionally. This is a worrying statistic when taken with some of the other study findings. In particular, the researchers say that there was a 50% jump in opioid-related suspected suicides among teens during the 16-year study period. Teens were also more likely to be admitted to health care facilities for serious medical outcomes than other groups. Casavant states that most teens get opioids from friends and family, so it is important to make sure all medications are kept in a safe place. “It is important that these medications are stored up, away and out of sight of kids of all ages, in a locked cabinet is best," he said. Physicians have long stated that restricting opioids is a tricky proposal, since so many consumers depend on them for pain relief. However, senior study author Dr. Gary Smith says that finding a solution is imperative going forward. "As physicians, we need to find a balance between making sure that we are helping our patients manage their pain, and making sure we don't prescribe more or stronger medication than they need," he said. "While overall rates of exposure to opioids among children are going down, they are still too high. We need to continue to examine our prescription practices and to increase education to parents about safe ways to store these medications at home to keep them out of the hands of children." The full study has been published in Pediatrics.